Nigel Pearson made four changes to the side that won at Hull, with De Laet, Drinkwater, Hammond and Vardy in for Konchesky, Nugent, Cambiasso and Ulloa, and they nearly went a goal ahead in the second minute. After Mahrez had been brought down by Moreno the Algerian international took the free-kick, and with everyone anticipating a cross he almost caught Mignolet out with a near post shot that struck the post. In a very encouraging start for City great work from Schlupp down the left then set Mahrez up but he skied his shot into the Kop. 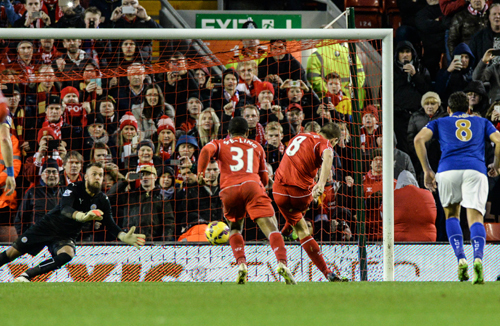 However, the first set-back of the game came in the 17th minute when referee Mike Jones handed Liverpool the lead. A cross from the left from Sterling struck the sliding figure of Morgan full in the face. This was judged to be handball despite Morgan’s vehement protests and Gerrard put Liverpool ahead from 12 yards, despite Hamer guessing right. City continued to try and take the game to their hosts and Mahrez was unlucky when his deflected free-kick went narrowly over the bar. Drinkwater then had to retire injured, replaced by Nugent, in the 37th minute. Five minutes before the break Liverpool were awarded a second penalty. 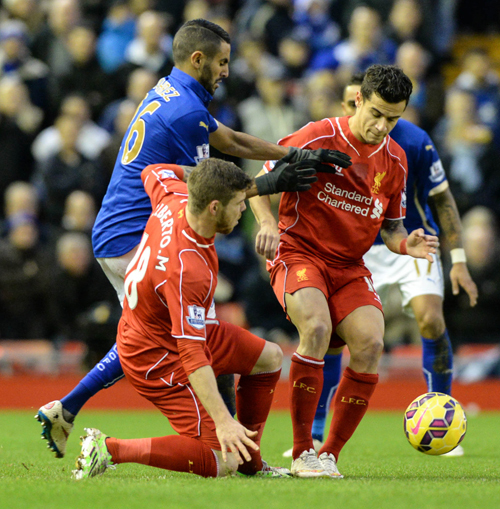 After a challenge on Coutinho the ball shot up and made contact with Simpson’s arm. Despite him having no chance to get it out of the way Jones pointed to the spot again and Gerrard sent Hamer the wrong way to give City an impossible looking task. 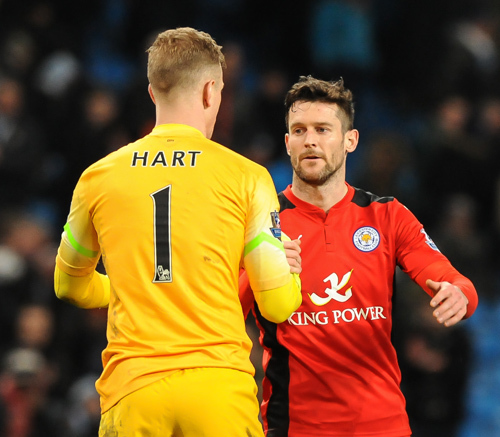 But Nigel Pearson’s side kept plugging away, and their reward arrived in the 58th minute when Vardy set up Nugent for a superb scissor-kick finish that gave Mignolet no chance from the edge of the area. Within two minutes there were manic scenes in the away end as City levelled the game, Schlupp finding the bottom right hand corner from 18 yards. City were still looking to push forward in search of a winner but Liverpool were creating chances of their own and Hamer saved well from a Lucas effort. City then had to soak up some late pressure, Borini fired over when well placed, and Hamer saved from Sterling and Coutinho. There was a late scare when a Morgan challenge on Borini brought loud appeals for a penlalty at the Kop end, but Mike Jones declined the chance to point to the spot a third time. 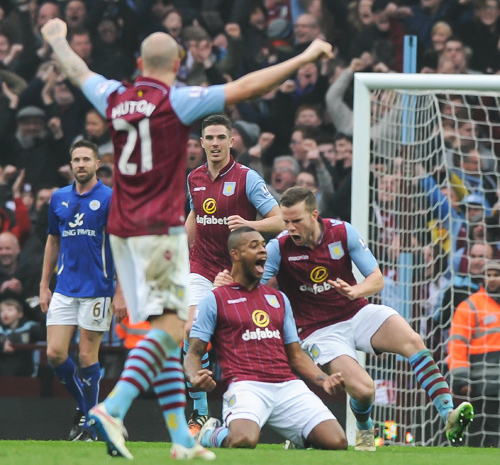 City held out for a very well-earned point that continued the revival and gave their supporters some hope for 2015. Liverpool: Mignolet, Can, Toure, Sakho, Henderson, Gerrard, Lucas (Markovic 72), Moreno (Lambert 85), Coutinho, Sterling, Lallana (Borini 55). Subs Not Used: Ward, Lovren, Manquillo, Ojo. Leicester: Hamer, Simpson, Wasilewski, Morgan, De Laet, James, Hammond (Cambiasso 67), Mahrez, Drinkwater (Nugent 37), Schlupp, Vardy (Ulloa 75). Subs Not Used: Lawrence, Moore, Knockaert, Smith. Referee: Mike Jones. Attendance: 44,720. 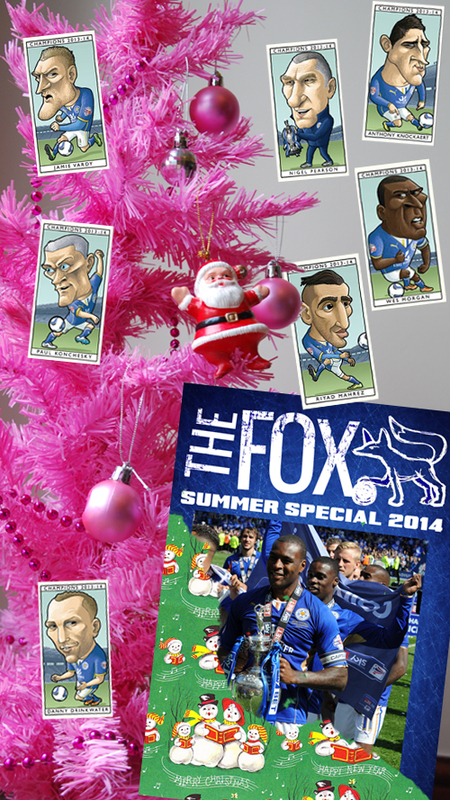 You will receive all the issues that have come out by mid-December this season: The Summer Special 2014; FOX 191 and FOX 192, will be posted by return of post. You will also receive a set of 20 cigarette cards from last season’s title win. 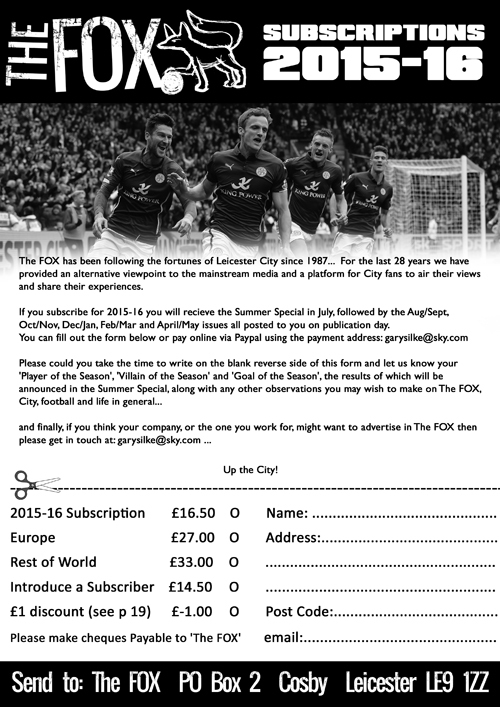 Click HERE or on the blue bauble to pay online via Paypal. Please remember to let us know the name you want on the gift tag and the delivery address if it is different from your Paypal address. Hull created the chances in a busy opening spell for Hamer who saved efforts from Aluko, Brady and Ramirez. The lively Schlupp then had the ball in the net after winning a tussle with Livermore, but the ref ruled that he had impeded the defender. However, just after the half hour McGregor was picking the ball out of his net again as City took the lead. Nugent fed the ball to Mahrez who lined up a precise left-footed curler beyond the reach of the keeper and just inside the left hand post. This was lifeline for City, and the first task was to reach half-time with the lead. Mahrez forced a good save from McGregor before Elmohamady scooped the ball over from close in when it looked easier to score. So City reached half-time with their precious lead intact. Bruce brought Jelavic on for Ramirez for the second half, and it wasn’t long before City made their own change up front, with Wood replacing Ulloa. The New Zealander soon bore down upon goal, but was denied by a Davies challenge. Although Wood then went close with another effort Hull were beginning to apply some pressure and Pearson switched things round with 20 minutes remaining: Cambiasso and Mahrez coming off for De Laet and Drinkwater. As City conceded ground to a home side desperately seeking an equaliser it made for a horribly nervy end to the game. 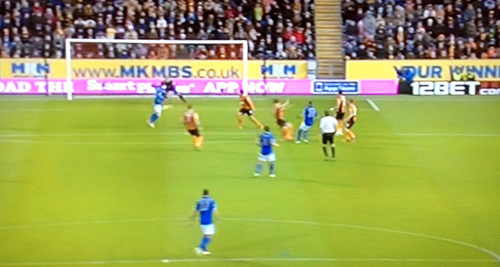 Firstly Livermore struck the right hand upright with a shot, before Morgan blocked his effort from the rebound. Then it was hearts in mouths again as Hernandez headed against the same post before the ball was scrambled clear. City were then reduced to ten men when Konchesky clashed with Elmohamady when on a yellow, but matters were evened up soon afterwards when Quinn ended a promising break involving Wood and Nugent with his hand and was dismissed for preventing a goalscoring opportunity. 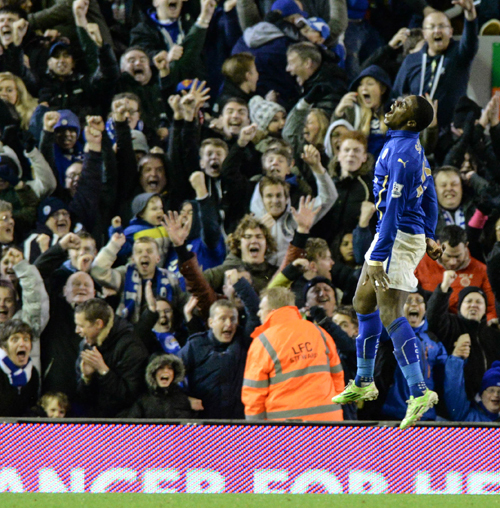 City held fast during 5 minutes of time added on and the final whistle heralded their first victory since September. Hull: McGregor, Rosenior, Bruce, Davies, Meyler (Ince 62), Brady, Livermore, Aluko (Hernandez, 62), Ramirez (Jelavic 46), Elmohamady, Quinn. Subs Not Used: Harper, Figueroa, Maguire, Sagbo. Leicester: Hamer, Simpson, Wasilewski Morgan, Konchesky, Cambiasso (Drinkwater 71), James, Mahrez (De Laet 71), Nugent, Schlupp, Ulloa (Wood 55). Subs Not Used: Hammond, Moore, Knockaert, Smith. Referee: P Dowd. 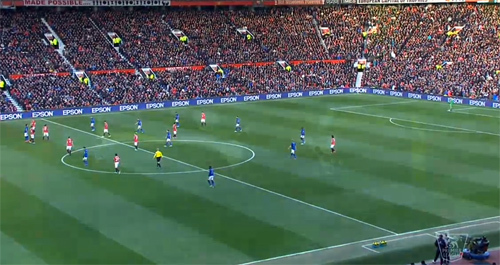 Attendance: 23,809. 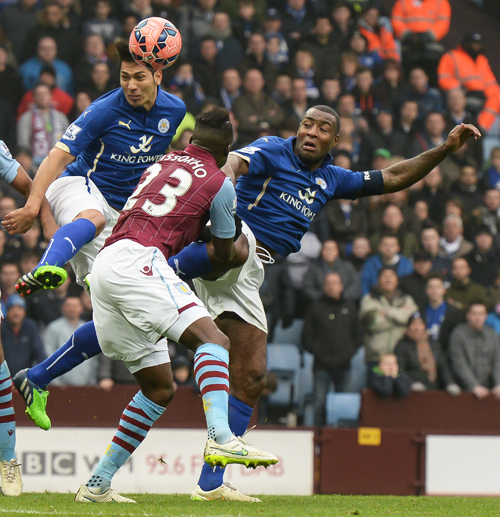 Nigel Pearson made two changes to his side with Ulloa and Nugent replacing Cambiasso and Vardy. But this new line-up found themselves a goal down with a minute on the clock. After a swift break down the left by Chadli he found Kane in the middle. The former-City striker easily eluded a flat-footed challenge from Morgan before beating Hamer from close in. With City struggling to piece a decent move together Kane went close to doubling the lead for Spurs but sent his curling effort narrowly off target. 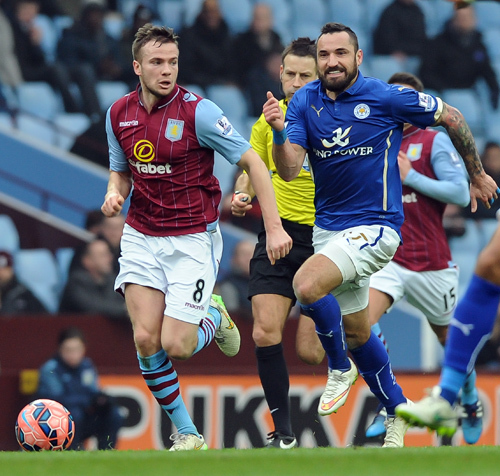 City’s first chance arrived in the 18th minute when good work from the lively Schlupp set Ulloa up. The Argentinian flicked the ball up before launching a fine half-volley that was just a little too close to Lloris, who tipped it over the bar. It was a more even contest now and the action swung from end to end. Hamer pulled off a good save from a well-struck Chadli shot, and then Morgan blocked an Eriksen effort; before Drinkwater robbed Stambouli of possession but delivered a wildly off-target shot when well placed. Schlupp then burst through the Spurs defence again but his shot didn’t trouble Llori. Roared on by another full-house, City cranked up the pressure towards the break. 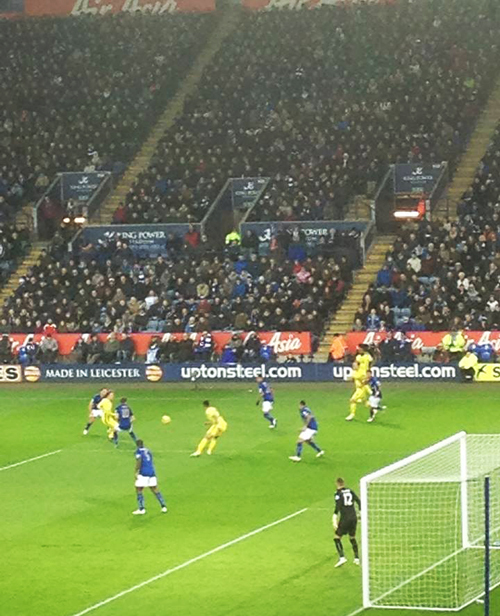 Drinkwater teed up Ulloa with a chance but Lloris forced him wide and he sliced his shot into the side-netting. 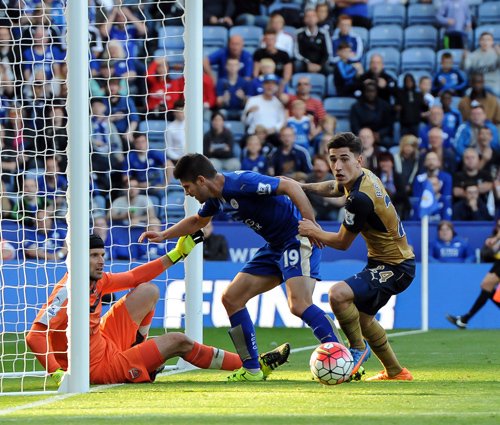 Lloris then got down well to block a low shot from Mahrez. 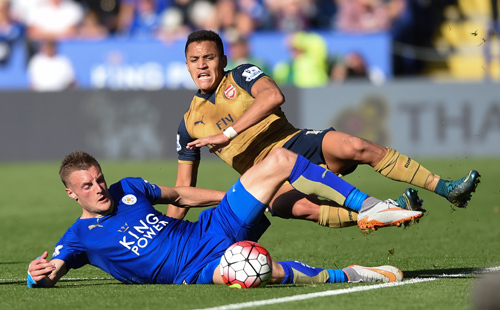 City’s best chance of the half saw Mahrez crossing for Ulloa who sent a firm header crashing against the woodwork. Kane then sent a header skimming the right hand post in the last action of the half. Although City went down the tunnel trailing by a goal, they soon set that right in the second half. Mahrez beat Bentaleb down the right and found Ulloa at the near post. The Argentinian stabbed the ball home before gleefully celebrating his seventh goal of the season. City went close to taking the lead in the 52nd minute when Mahrez lifted a 20 yard free-kick over the wall, but struck the bar. However, City were to shoot themselves in the foot once again in the 71st minute. Substitute James conceded a free-kick out on the left, bringing Kane down. The two-man wall turned its back on Eriksen’s shot which then beat Hamer at his near post. 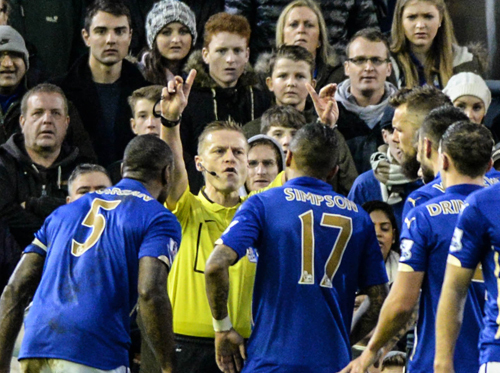 Pearson brought Vardy on for Nugent and he soon forced a save from Lloris. His next effort landed on the roof of the net, and then he was brought down in the area by Vertonghen for what looked like a nailed on penalty, but the ref didn’t agree. With time almost up City had a golden opportunity to equalise when a Mahrez cross found Morgan in space at the far post, but he lost all composure and ended up sitting on the ball. Time ran out for City, who had played very well in spells, but had overall fallen short of Premier League standard, and been the architects of their own downfall. 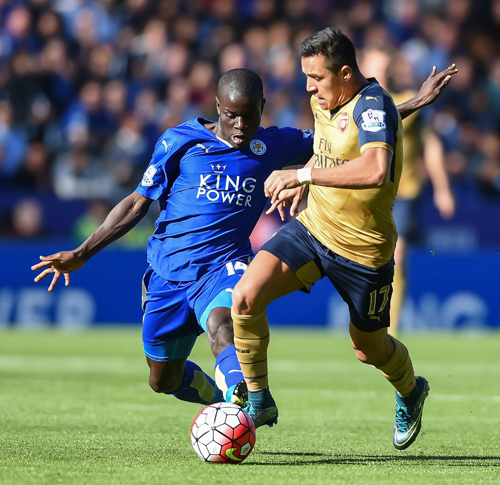 The miserable run extended to thirteen games without a win… For how long will this be allowed to continue? Leicester: Hamer, Konchesky (Knockaert 83), Wasilewski, Morgan, Simpson, Schlupp, King (James 46), Drinkwater, Mahrez, Ulloa, Nugent (Vardy 75). Subs Not Used: De Laet, Hammond, Cambiasso, Smith. Tottenham: Lloris, Walker, Rose, Vertonghen, Lamela, Kane (Paulinho 84), Fazio, Chadli (Soldado 63), Eriksen, Stambouli (Mason 46), Bentaleb. Subs Not Used: Chiriches, Vorm, Townsend, Davies. Referee: N Swarbrick. Attendance: 31,870.